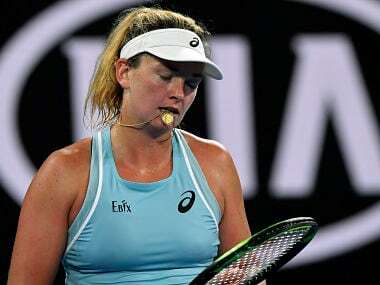 Melbourne: Last year's semi-finalist CoCo Vandeweghe revealed on Monday that she had been confined to bed for four days with flu after being sent packing from the Australian Open in the first round. The American, who made the last four at the US Open in 2017, was knocked out by Hungary's Timea Babos 7-6 (7/4), 6-2 on a horror day for three of America's star women on day one of the year's opening Grand Slam. Joining her on the sidelines were seven-time Grand Slam champion Venus Williams, who lost to Belinda Bencic, and US Open Champion Sloane Stephens, who was defeated by Zhang Shuai of China. Vandeweghe told reporters it had been touch and go whether she would even make it to Melbourne Park for her match. "I've had the flu since about Sunday," she said, almost losing her voice as she struggled to speak. "(Today) was the first time I've been up in like four days," she added. "I did the best that I could ... that's all I can ask for. She played really well." Vandeweghe said that she had asked organisers to move her early match to later to give her more recovery time but the request had been refused. "I've seen the doctor. She's given me some medication. I have no idea what it is, but it's not working all that well." World No 51 Babos took just an hour and 46 minutes to oust an understandably tetchy Vandeweghe, who complained to the umpire about a lack of bananas on the Hisense Arena court after dropping the first set. And to her woe, the American was then reprimanded while waiting for the fruit to arrive when umpire Fergus Murphy called time but Vandeweghe remained in her chair. "I'm waiting for the bananas," she told Murphy when asked why she wasn't ready to play. "Why should I feel uncomfortable because the court is ill-prepared?" After around another minute a banana arrived and Vandeweghe, who said she hadn't been able to practise for four days, was hit with a code violation for delaying the match. 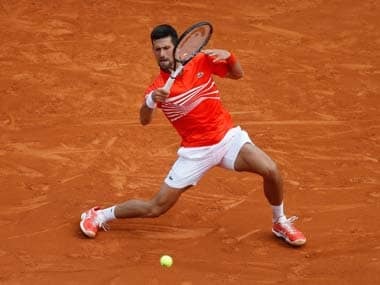 It couldn't give her an energy boost as the World No 9, who is coached by former Wimbledon champion Pat Cash, made 28 unforced errors in slumping to defeat. 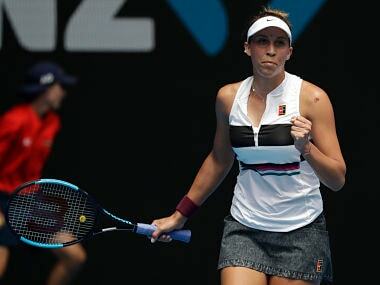 Babos now faces Spain's World No 39 Carla Suarez Navarro for a place in the third round.